Roland Emmerich likes to do things to famous buildings in his movies. In Independence Day (1996), he blew up the White House. In The Day After Tomorrow (2004), he buried the Statue of Liberty in snow up to her waist. In 2012 (2009), the White House is destroyed by the USS John F. Kennedy coasting into it via tsunami. Nothing new is brought to the table in his latest directorial effort, White House Down – the White House and Capitol buildings are both severely damaged and nearly destroyed, but hey, at least we have fun along the way. 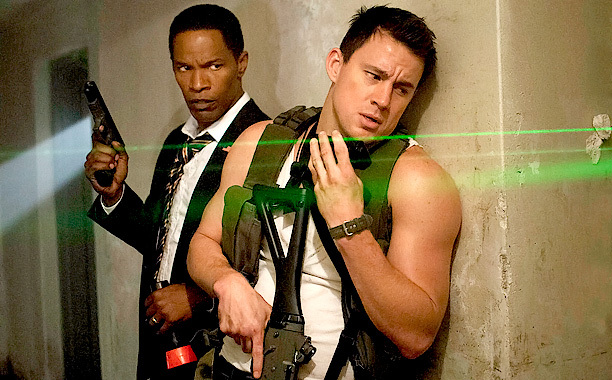 Channing Tatum plays John Cale, a US Capitol police officer, a man who has struggled to hold a steady job and to be a good father to his daughter, Emily (Joey King), who is obsessed with politics and the current US president, James Sawyer (Jamie Foxx). Cale takes Emily to the White House when he goes to apply for the president’s Secret Service, but he is rejected by Carol Finnerty (Maggie Gyllenhaal). Dejected, he and Emily join a tour through the White House when the worst happens: domestic terrorists take over both the Capitol and the White House, gathering the tour group as hostages and trapping the president in the building. John must find a way to help protect both the president and his daughter before time runs out. I’d never seen a Channing Tatum film before this, and I found that I didn’t hate him, so great for you, Mr. Tatum. Sure, he’s not spectacular, but he could have been a lot worse. The important thing is that he does the action well, and there are even a few moments when his character’s relationship with his daughter feels at least kind of close to genuine. Speaking of his daughter, Joey King, who I’d only seen as the young version of Marion Cotillard’s character in The Dark Knight Rises (my review), is charming here, if not a bit too smart for her age, but who cares? She’s sweet, she brings the proper mindset and stubbornness of a preteen, and she provides Tatum’s character with great (if not a little bit over-the-top) motivation. Jamie Foxx does a great job as always as President Sawyer. He carries the air of authority well, and his likable personality in the role brings a lot to the film. Lastly, Jason Clarke proves yet again that he can play the crazy character well, though this time he’s not torturing suspected terrorists (Zero Dark Thirty) or shooting a rich man who ran over his wife (The Great Gatsby); this time, he’s a mercenary who takes over the White House…and apparently he can hold quite the grudge. 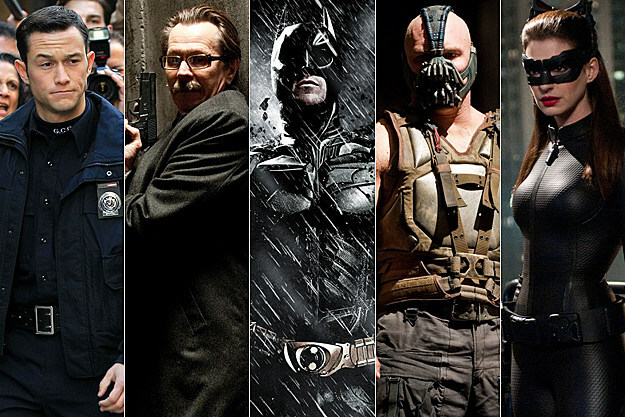 He does well with it, though, and I like him as the villain. Other notable performances come from James Woods, who plays Martin Walker, the head of Presidential Detail, and Nicolas Wright, who plays a quirky White House tour guide who serves mostly as comedic relief. Maggie Gyllenhaal is also in the movie, and, though I’m not really a fan of hers, she isn’t awful here. For the first bit of the film, I tried too hard to take it seriously: I thought that it was trying to make a political statement or teach a valuable lesson, and I thought that the circumstances were incredibly ridiculous, but the frequent inclusion of (quite effective and humorous) one-liners and the tendency for things to be just a bit too convenient for our protagonists – and sometimes for our antagonists as well – helped me to realize that even the movie wasn’t taking itself too seriously. Once I realized this, I started having a lot more fun, which is what I really think the purpose is here. Is there a message or a political statement to be found somewhere? Yeah, sure, probably – maybe a comment on how dedicated people can be to the people (or country) that they love? – but that’s not the point of the film…the point is for it to be a fun action film, and it does a great job at pulling that off. Don’t go in expecting a whole lot of substance, but also know that the action isn’t mindless either. White House Down is good for what it is and good for what it isn’t; it’s not spectacular, and it’s not endless pointless explosions, but it is good for a few laughs and a few decent dramatic moments, and it succeeds the most at being what it’s meant to be: a fun summer action flick.